People walk past a logo of Tencent Literature at a Tencent Interactive Entertainment stand during a book fair in Guangzhou, Guangdong province, China August 17, 2014. Picture taken August 17, 2014. 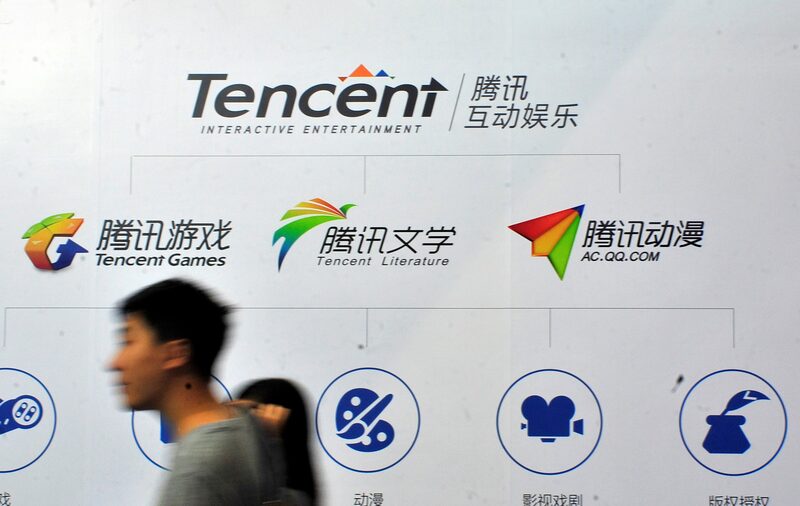 Chinese social media and video games group Tencent on March 21 reported revenue of 85 billion yuan ($12.7 billion) in the three months to December, an increase of 28 percent from the same period last year. Earnings attributable to shareholders fell 32 percent year on year to 14.2 billion yuan. That compares with the average analyst forecast of 18.3 billion yuan, according to data from Refinitiv. Tencent is considering a bid for part of Temasek Holdings's stake in healthcare and beauty retail chain A.S. Watson, Bloomberg reported on March 20, citing people familiar with the deal. The Singaporean investment fund may sell a 10 percent stake for $3 billion. Tencent is also weighing a bid for up to half of Vivendi's Universal Music Group, worth up to 20 billion euros ($23 billion), according to sources cited by Reuters on Feb. 28. In January, Reuters reported that Tencent is looking to enlist co-investors to bid for a holding company that controls South Korean video games company, Nexon. The stake is worth between 8 trillion won and 10 trillion won ($7.1 billion to $8.9 billion), according to local media reports. Tencent shares closed at HK$363, down 1.9 percent, on March 21.